Maggie Bilby has been singing and playing bluegrass music for over 30 years, on banjo, guitar, reso guitar and bass. She's performed with Old South, Dry County Pickers, many impromptu bands, and in the play "Cotton Patch Gospel". 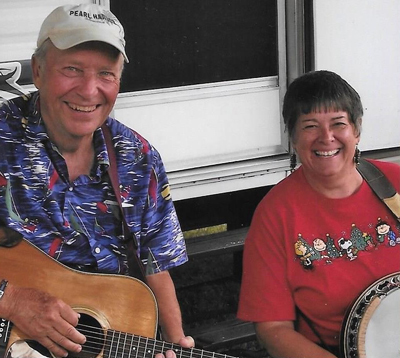 She and her husband have conducted jam workshops for the Northern Indiana Bluegrass Music Assn. 's festivals and assisted at one for the West Michigan Bluegrass Music Assn. She says, "Bluegrass music has been a LARGE part of my life and continues to excite, stretch and interest me!"